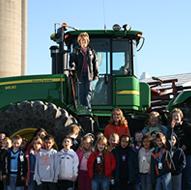 Tom Farms is a multi-generation, family owned organization firmly planted in fertile prairies of North Indiana. Tom Farms has evolved into a global crop production, sales and service company and industry leader. 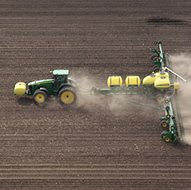 Today we are one of the leading suppliers to the DEKALB seed production supply chain. 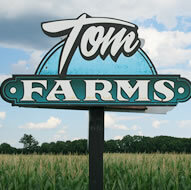 Tom Farms is a global production, sales and service operation, specializing in seed corn, corn and soybeans. 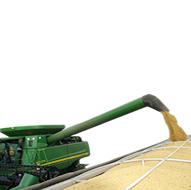 A leading supplier of seed corn, the company is internationally known for its innovation in agricultural production. With over 17,000 acres in production globally we put down roots in each of the communities and cultivate relationships built on honesty, reliability and value. Tom Farms has built a business environment that embraces change in the structure, and has empowered employees to also accept and thrive on change. We have taken new leads in research and developing new production technologies in which will help propel the business into being a preferred supplier of products and services into the future to the company’s customers. Tom Farms is adding to its focus and goals to move into manufacturing of consumer products. Tom Farms has brought value to the community by providing neighboring growers in the region access to production contracts, were there is an inherent risk of providing contracts to your competition, however to date, all of the entire communities have thrived. Has built a farm company on the platform of operating it as a business, and not a lifestyle, which has many cultural obstacles. And now the company is adding to its focus and goals to move into manufacturing of consumer products.